What is special of the North Korean system is that forced labour is not organized, as usual, by criminal organizations such as the Italian mafia and by human traffickers, but by the state of a military dictatorship with the leader’s absolute claim to power. The North Korean state brokered its temporary workers globally to the highest bidding companies. The goal is to earn foreign exchange through the controlled export of forced labour. North Korean forced labour is currently exported to more than 40 countries, and with it the monolithic, authoritarian leadership system. When Chŏn Kyŏngsu (전경수) died in 2014, he worked as a welder for a Polish shipyard. Toiling twelve hours a day, six days a week, he lodged with nine of his colleagues in a very small room. He unfortunately wore flammable clothing provided by a subcontractor, a joint venture between Polish and North Korean entrepreneurs. After an accident at work, he succumbed to burn injuries in a Polish hospital. Like his North Korean colleagues, he had no contract. He was not allowed to go anywhere else but to where he worked and slept. He only got the money he needed for food and drink, nothing else. He had no identity card and was forced to praise regularly in ideology instructions the achievements of Kim Jong-un, the youngest offspring of the North Korean dictator dynasty. A North Korean national security officer regularly monitored him and his colleagues. Such surveillance is rigid and involves severe penalties in case of rule breaches. These punishments affect not only the North Korean labourer himself but also the families left behind as a pawn in North Korea. For this is a selection criterion for the often untrained labourers: a family in North Korea – and of course ideological reliability. Only after months of training are they then sent abroad and they must surrender the bulk of their earnings to the North Korean state. Only a very small part remains for the family. All this is organized by the North Korean state. The more they earn abroad for the regime, the more they will be honoured when they return to the dictatorship. When the Polish inspector examined this work accident, he not only found out that the 29 North Korean workers were employed illegally, but also that the regulations on occupational safety, labour inspection and working hours were violated. The Polish National Labour Inspectorate, however, came to the conclusion that the workers were self-employed and thus fell outside their purview of responsibility. Provided with a temporary work permit, then this employment is legal. During 23 inspections by the Polish Labour Inspectorate since 2010, 377 North Korean workers have been registered, but only 77 cases of illegal employment have been reported. 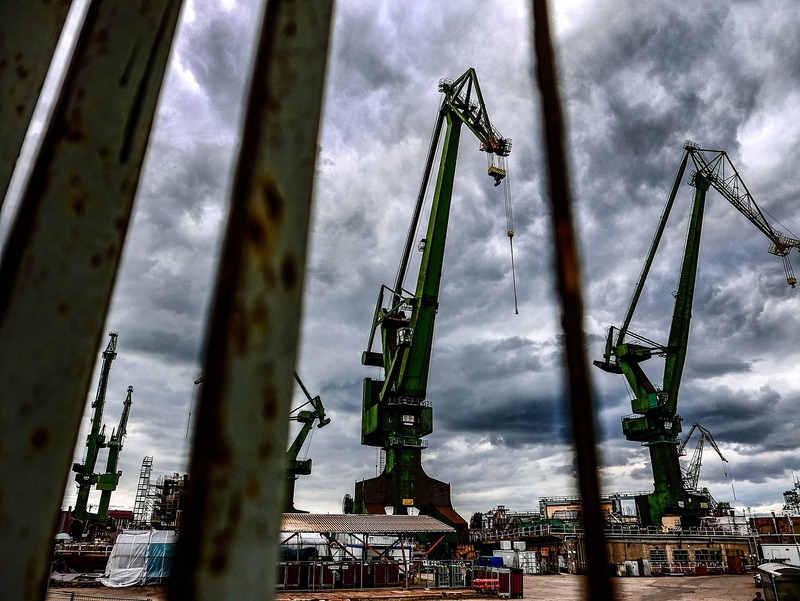 Two of the shipyards, where North Korean forced labourers worked as temporary workers from subcontractors, received EU subsidies. Above all, inspections by the EU commissions address the question of whether the funds were used properly and normally not whether the working conditions comply with EU regulations. This they certainly failed to do in these cases. It was not until 2016 that the Polish government changed its policy and now no longer gives any work permits to North Korean workers. It’s part and parcel of the North Korean forced labour system that key characteristics of North Korea’s political system are also exported to more than 40 countries. The tight control and indoctrination, the cult of leadership and the central state organization, the disciplining and a system of punishment that affects not only the forced labourer, but the entire family over three generations, are but a few of these characteristics. The EU’s rules make formal legalization of forced labour at the contract level easy and illegal forms of employment are subject to too little controls. Enterprises use subcontractors to gain access to cheap North Korean labour force and in this way formally safeguard themselves against responsibilities without taking a closer look at the slave-like conditions. Hence the absurd and inhuman political system of the North Korean dictator is supported by enormous sums of foreign currency, especially from Russia and China, but also in smaller shares from Europe. In Poland alone, it is estimated that the North Korean state earned till 2016 more than 15 million euros per year from forced labourers in Poland. Although he earns less in China and Russia due to even lower wages, here the large number of workers makes the difference. 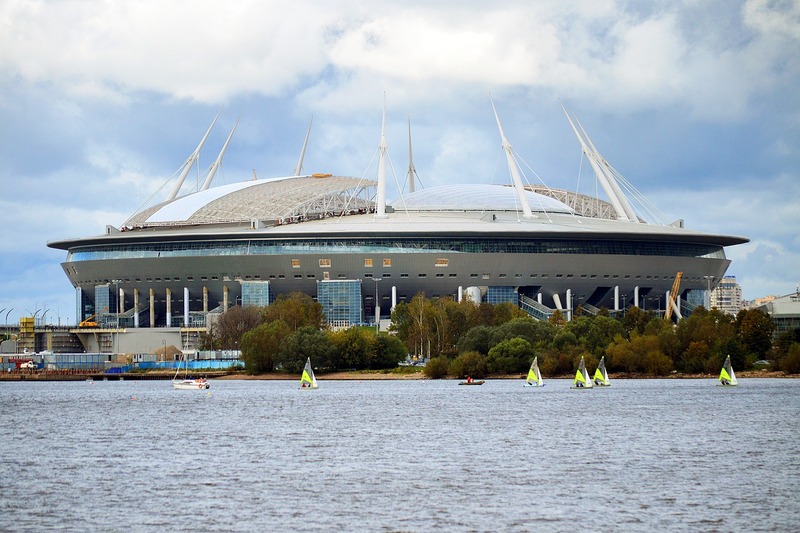 In any case, this grim story can no longer be seen in the Saint-Petersburg Stadium, where we will watch several FIFA World Cup matches. If you are interested in further exploring this topic, we would like to draw your attention to the fact that Remco Breuker, a specialist in North Korean forced labour in the EU, will be giving a public presentation at Heidelberg University on 6 June 2018 at 6 pm in Lecture Hall 7, New University Lecture Hall, as part of our lecture series „Breaking the Rules – Organized Criminal Activities Beyond Morality„. Breuker, Remco et al. (2016): North Korean Forced Labour in the EU, The Polish Case: How the Supply of a captive DPRK Workforce Fits our Demand for Cheap Labour, accessed on 04 May 2018. Global Slavery Index (2016): The Global Slavery Index 2016 Report, accessed on 04 May 2018. The Guardian (2017): ‚Like prisoners of war‘: North Korean labour behind Russia 2018 Word Cup, by Alec Luhn, published on 04 June 2017, accessed on 04 May 2018. The New York Times (2017): North Koreans in Russia Work ‚Basically in the Situation of Slaves‘ by Andrew Higgins, published on 11 July 2017, accessed on 04 May 2018.